Characters and background illustrated and fabricated for the exhibit. For the Transportation Exhibit at Science World, we converted and refurbished a horse-racing game to tell the story of how the same amount of energy can make a bicycle travel far further than any other vehicle. The objective of the game is to throw the ball accurately, to race the characters with the most efficient form of transportation possible. 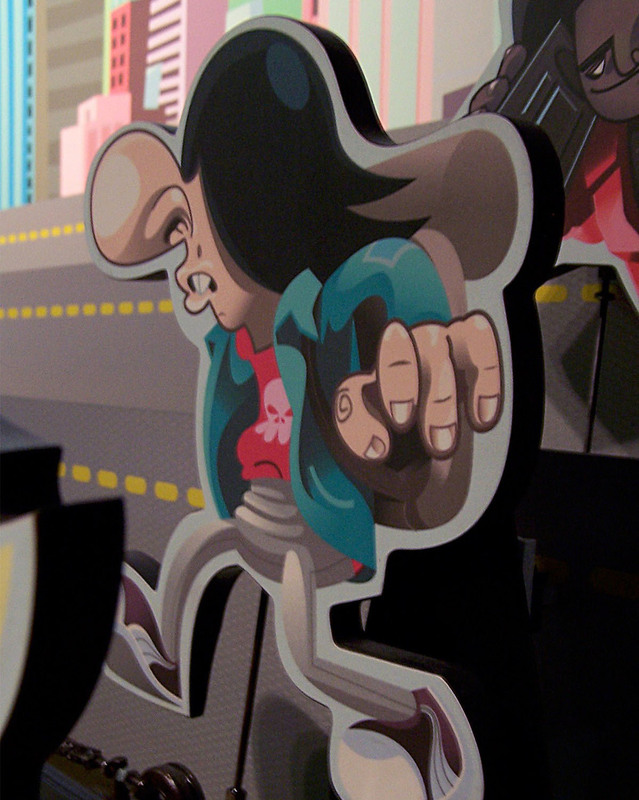 The characters and lanes were based on caricatures of stereotypical Vancouverites and neighborhoods. Character sketches for the Transportation Exhibit.